With a delay worthy of the AEC it brings us great pleasure to announce that on a historic night in March, Hunters Hill Rugby has elected two Club Captains for the first time. Ben Chaplin returns as the Senior Men’s Club Captain for 2019, continuing on from this role in 2018 and his 2017 Vice-Chairmanship. 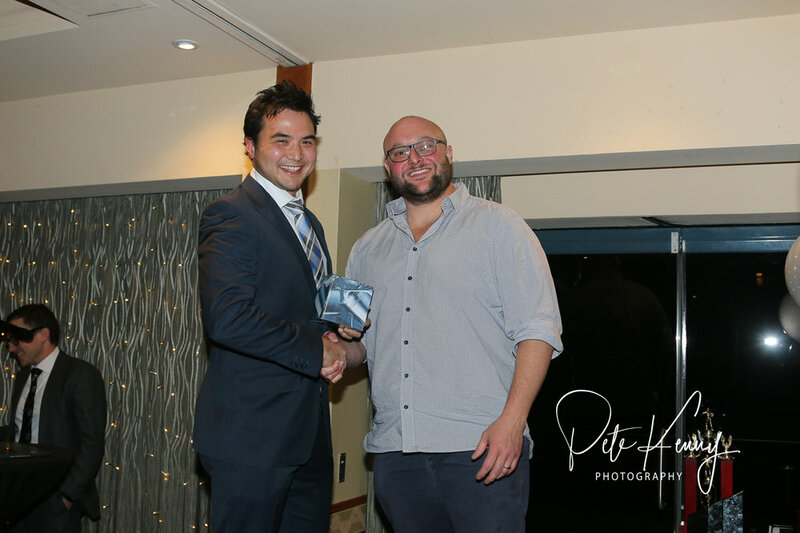 Ben’s role this year means that he will have help an executive position at Hunters Hill Rugby, for half his playing career, not bad for a bloke that joined as a colt. Bella Hogan has been elected as inaugural Senior Women’s Club Captain. Bella is a founding member of Hunters Hill Women’s Rugby Union Football Club, and is also a 2019 committee member. 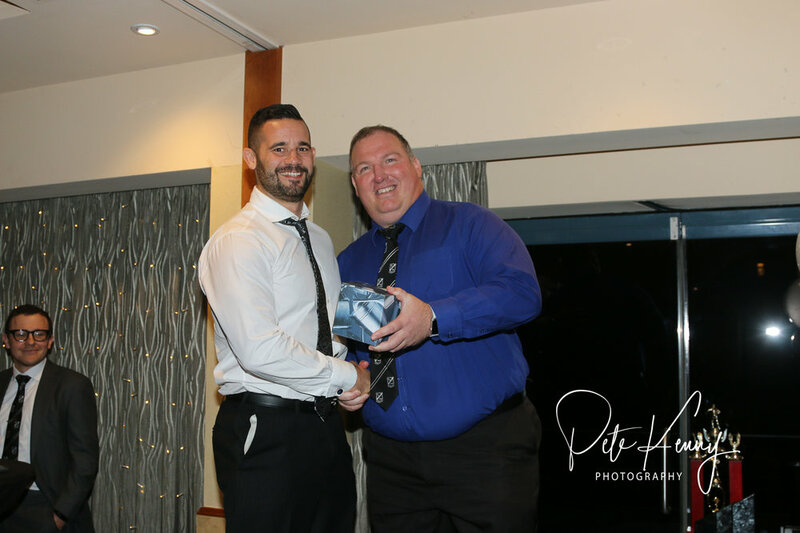 Best New Forward, 1st Grade Best and Fairest & 1st Grade Players Player, Jono Midghall (L) with Club and 1st Grade Coach Clint Allardice (R). Audrey Legrand (L) received the Women’s 1st Grade Players Player for the second year in a row, with Lauren Salmon, Vice Chair of Women’s Rugby. 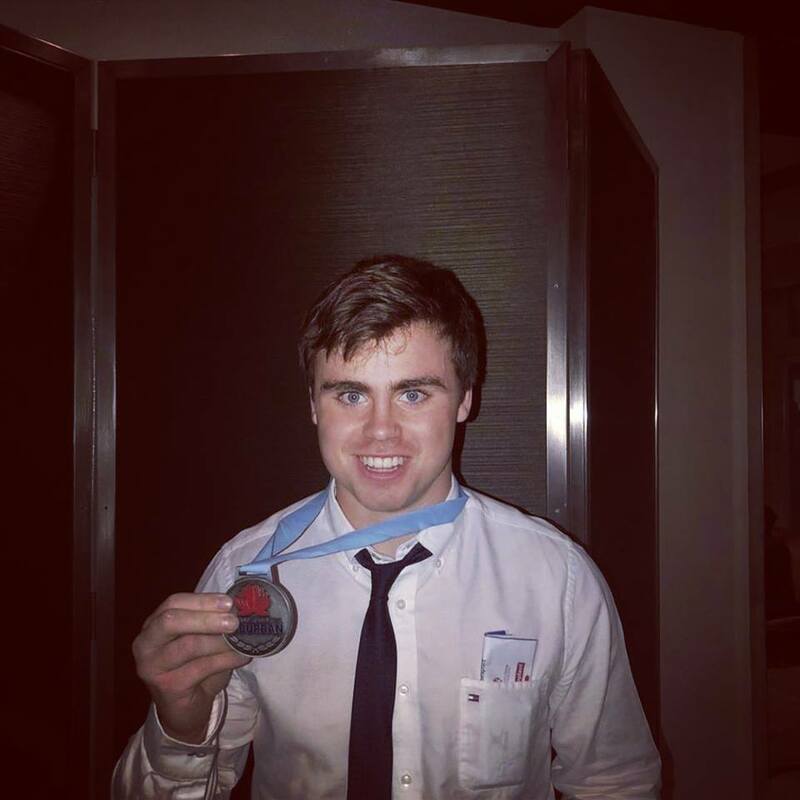 Following a successful season which saw Hunters Hill Colts go down in the Grand Final after finishing fourth in the regular round, Colts Captain Ben Rooney took home the 2018 Colts Medal, awarded from amongst all the colts teams in all divisions of Subbies. Not to be outdone, Colts Coach Greg Wyatt-Spratt has been named the NSW Coach of the Year - make sure you check out his nomination video below! Unfortunately due to the rain, the fields haven't been prepped in time so tomorrow's games have been cancelled. Hunters Hill Seniors are very happy to welcome Rob and Barbara at Hunters Hill Gourmet Butcher / Deli to the club in 2018! Check them out on Facebook or better yet visit them (and buy dinner) at 2/45 Gladesville Rd. 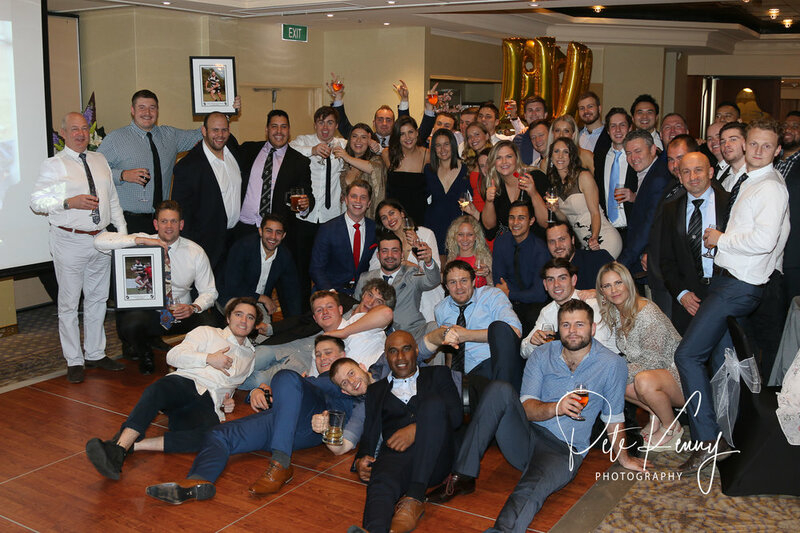 In 2017 we saw the power that a few players recruiting their mates could make to the club, with the GF success of 3's and the strong showing from all other grades due to this. There's actually too many players to name. So in 2018, the Senior Men's Sub-Committee would like to reward those who put in the effort to get their mates along to play with Hillies with a $150 Bayview Voucher. Bring two new players to the club who pay their full fees by Round 4. & Pay your own full fees by Round 4. Confirm this with Shieldsy and Seagull. We'll then shout you the voucher as well as make special mention of you in our Newsletter. 2018 is shaping up to be a massive year for HHRUFC! Come and join the black and white hoops as they take up the new challenge of Div 1. Congratulations to all our 2017 Award Winners! Hunters Hill has managed to qualify for the Semi Finals in 4 grades! Finals begin Saturday 19th August! Get along to support the boys! The time has come for something epic… Hello Sailors! Hillies End of Season Grand Vessel Harbour Tour 2017 has been announced for Saturday the 14th October 2017! For one day only we require you to leave the Bayview, TAB and landlubbers behind and join us for an almighty swashbuckling cruise across Sydney Harbour to celebrate Hunters Hill’s finest season in 125 years. Pick up and drop off @ Gladesville Wharf. The boat is leaving strictly at 11:00am, so be there by 10:45 at the latest! Early birds (before August 17th) $80 per ticket. Late birds (August 18th onwards) $100 per ticket. We have limited capacity so book now! The bulk of tickets must be bought by Thursday 17th of August to secure the vessel. Draw Released for Women's Games! First Game is at 10.20 on Boronia #2 - come down and watch the first ever kick off for the Boronia's! Congratulations to Dan Midghall, Steven Morton and Alex O'Shea for makeing the team. For those venturing up to Lindfield tomorrow, note that 1st grade will not be playing. The game has been postponed due to us having 3 players in the Subbies Rep team! Details of the catchup game will be announced soon.